Why is sustainable and ethical fashion important? There are costs to disposable, poorly-made goods that aren’t apparent at first. There are the obvious environmental and human costs, but there is also a psychological price to be paid when consumers ignore the effects their buying has on the rest of the world. When the price tag on a garment or accessory seems too good to be true, most likely the environment or another human being is suffering while it’s being produced. If you’re willing to risk it, here are two things worth looking at. You can ease yourself into your self-education on the subject with this interactive report from Planet Money. They trace the stages of manufacturing a simple t-shirt from growing the cotton through manufacturing and into the hands of the consumer. It’s fascinating to learn how many miles your shirt travels before you even buy it. Spoiler alert: Men, women and children all around the world pay the price for our insatiable need for fast, cheap fashion. Their lives and environments are being ruined by unethical labor practices and unsafe manufacturing conditions. It’s gripping, unsettling and excellent. Please watch it. Even small changes in our buying habits can affect change. Manufacturers make whatever people will buy. Take the time to research the companies you buy from by using our sustainable fashion directory. 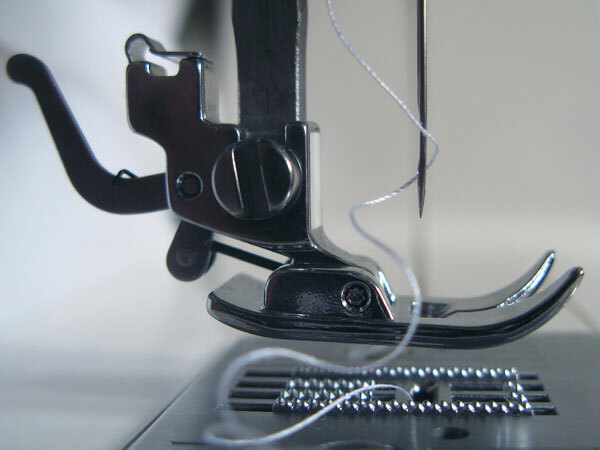 Learn to make or mend your own wardrobe. And consider buying vintage clothing or items from local designers who care about sustainability.